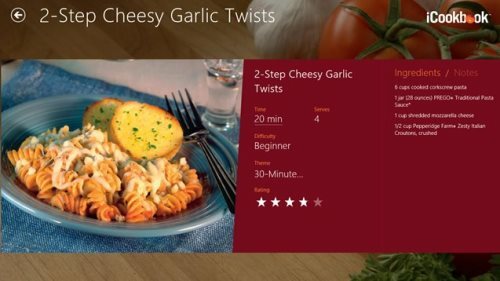 Here are 4 free Windows 8 recipe apps for those who want to explore more when it comes to fine cooking. You can learn new dishes and surprise you with friends with delicious dishes everyday. iCookBook, available under the ‘Food & Dining’, is a free Windows 8 recipe app that brings you more than 2000 different kitchen tested recipes covering the globe. Each recipe has been given with its name, with the method of preparing it. You will get more than 20 full size cookbooks to help you know and prepare as many dishes as you like. If you have a passion of cooking and exploring new dishes, then iCookBook is the one for you. Read more about iCookBook app or simply go to Windows 8 app store to download it now. 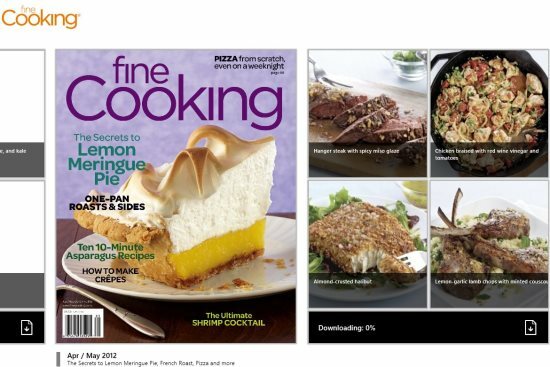 Fine Cooking brings you the best possible magazines for you to download it. The magazine is basically brings you thousands of yummy recipes along with the methods of cooking it. No matter, whether you want to try the very basic dish or are an expert and ready to grab the advanced dishes, Fine Cooking has everything. You can see mouth-watering photographs of the dishes, get kitchen tips, just everything. You can get more info about Fine Cooking in our post or you can directly download the app from the Windows 8 store. Here, in this recipe app for Windows 8, you will find a large collection of delicious recipes including veg and non-veg both. You can find ingredients and methods of preparing your favorite dishes, right on your Windows 8 system. You can easily save recipes, get a print out, pin to start, or just share with others. Read our entire post on AllRecipes to get more info or simply try it out by installing it from the Windows 8 app store. Ending my post with CookBook recipe app, available under the ‘Food & Dining’ category of the app store. 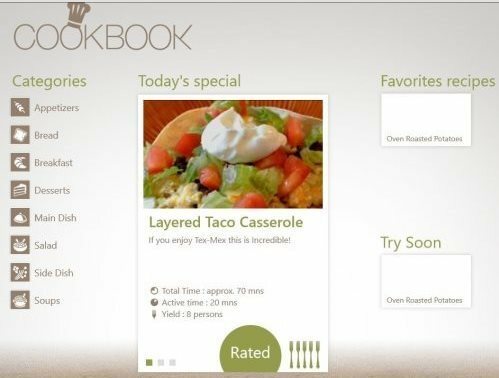 This Windows 8 recipe app get you more than 20,000 recipes. There are various categories and you can search for a dish by using the search bar. You can read more about CookBook or simply head over to the store and look for this Windows 8 cooking app now.